« cool down with a polar bear! 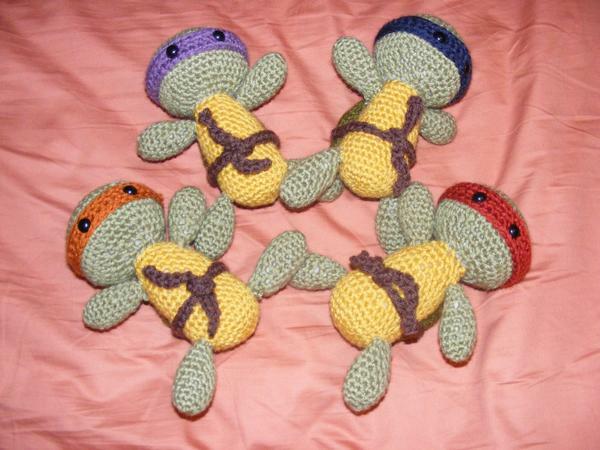 I just made these for my friend’s son’s 5th birthday (it was the 21st of June). I am totally pleased with the way they came out. I had grand expectations to finish Splinter the Rat before the birthday but i’m not so good at forcing myself to finish projects by a certain date – it seems to take the fun out of making it! Yes – they are napping on my bed before they had to be locked in a box for the party! Too cute! I love them. I love those… Now I have the theme song in my head. Those are so cute. I giggle when I saw the picture…just cuz they were so cute. I even forwarded the blog post to my husband because I thought he would like them too. These are so cute. 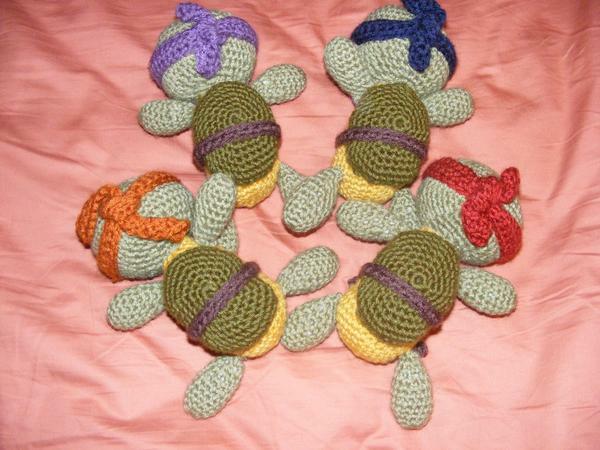 We are doing TMNT themed party for my grandson’s first birthday. I would love to know where to purchase this pattern from. i absolutelly love them! my little guy loves these guys, where could I get the pattern from? are you selling it? or did you buy it somewhere?